Summary (from the back of the book): In the refugee camp of Jenin, Amal is born into a world of loss--of home, country, and heritage. Her Palestinian family was driven from their ancestral village by the newly formed state of Israel in 1948. As the villagers fled that day, Amal's older brother, just a baby, was stolen away by an Israeli soldier. In Jenin, the adults subsist on memories, waiting to return to the homes they love. Amal's mother has walled away her heart with grief, and her father labors all day. But in the fleeting peacefulness of dawn, he reads to his young daughter daily, and she can feel his love for her, "as big as the ocean and all the fishes." In those quiet mornings, they dream together of a brighter future. This is Amal's story, the story of one family's struggle and survival through over sixty years of the Palestinian-Israeli conflict, carrying us from Jenin to Jerusalem, to Lebanon and hte anonymity of America. It is a story shaped by scars and fear, but also by the transformative intimacy of marriage and the fierce protectiveness of motherhood. It is a story of faith, forgiveness, and of life-sustaining love. Review: Wow! I managed to have tears rolling down my cheeks for the last 80 pages or so of this book. That isn't why I loved it so much, but that's to show you how into this book I was, how much I care about the characters and their lives. 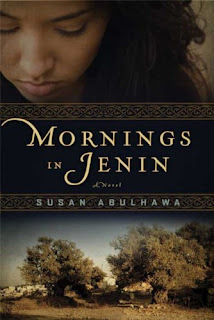 There are a lot of characters in this book and the author manages to keep you connected to all of them as they relate to the main family, their lives interwoven in a way that only small villages, refugee status, and a shared history can do. Not only are the characters all closely related or connected, but they support one another, take care of each other as they suffer the injustices forced upon them by the Israeli government and army. Let me take a political time-out. In the United States our government has sided with Israel throughout the past sixty years. We arm Israel, we send them money, and we favor the Israeli state over the Palestinian. I think most Americans, if polled, would say Israel should exist and the Palestinians should move on since the Jews were there first (remember, this is what I think most Americans would say). Though there are glimmers of change, the US tends to think of Arabs as only terrorists. Trust me, as someone who was married to an Arab-American, I've seen this first hand. This book will help you to see that there are two sides to every historical issue and situation. It follows this group of villagers from the creation of Israel in 1948 through to the present, showing the other side of events. I am not saying that one side is right and the other is wrong; I just think it is so very important for us to read about both sides of a conflict. To understand where both sides come from, how they feel, what they experience, and how they are affected. That is the only way that we can begin to understand one another and, I hope, one day, end the conflicts around the world. Ok, back to the book. I am a fairly well-read person and enjoy history (I did teach it for 15 years after all), but this book really helped me to understand events in Israel and Palestine over the past 60 years. To be inside these characters' heads at the checkpoints, in the refugee camps that have become towns, and to read of their longing to return home is to better understand and appreciate people on both sides. Because this book also has Jewish Israeli characters and it shows them as human, suffering, and with a history as well. 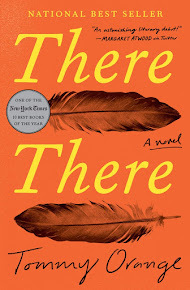 I feel like I am rambling about this book, but it was just so good and I am having trouble putting all my thoughts into this review. Suffice it to say that I highly recommend this book and would love to hear what others think of it! And, so, I include a give away. I loved this book so much, with the added bonus of having been to Jenin myself because my sister and brother-in-law live there. I recognized a lot of the places, and the stuff about the storming of the camp in 2002? I heard tons of stories about that when I was there. This summer, my sister was home for a couple months like usual, on break from her job, and she had read this book too. She said what was most interesting to her was that there were so many little events she'd heard about that were mentioned in this book. Stories that are legend in Jenin, and Abulhawa used many of them. She also cleared up for me my issue with the ending, and made me understand why it HAD to be that way, rather than just a political sort of move. My sister obviously knows a ton more than I do on this stuff, so it was nice to have her opinion.